We are a tranquil motel located conveniently near the beachfront and main shops and cafes. All our units are based on the ground floor. All rooms have cooking facilities while the Villas have full kitchens. We also have Spa bath units and studios that will sleep up to 2. The kids can safely enjoy the play area and swings. Port-a-cot, highchair and fold-out beds are available. We have extra parking for boats or trailers on our premises. Enjoy the day or a sunset stroll on the beach at Paraparaumu on the Kapiti Coast. Play a round of golf at one of 2 courses, take a spectacular trip to the Kapiti Island Nature Reserve, or just relax at one of the local cafes. At a truly tranquil and spacious location, Ocean Motel is just a short walk away from the beachfront, the main cafes, restaurants and shops, Kapiti Island tours and the world famous Paraparaumu international golf course. Whether you’re looking for a comfortable spot to rest before heading down to Wellington or up to the North Island, we are just a 40 minute drive from Wellington's CBD, Te Papa, Westpac Stadium and Interislander ferries. Coming in by plane? The new Paraparaumu Airport is in easy walking distance, and the Paraparaumu Train Station is a 5 minute drive away. We offer free wifi, SKY TV(50+ channels), continental breakfasts and parking for larger vehicles. 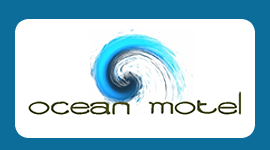 Ocean Motel always ensures the best service and a comfortable stay for all our guests. Book your next stay in Kapiti with Ocean Motel. You’ll always enjoy your stay with us. OUR CANCELLATION POLICY IS: 7 days prior to stay - $50 fee. 48 hrs prior to stay - full room rate.